I have long, straight, black hair and I don't get hair treatment procedures often. I have only done hair rebonding once, hot oil treatment twice and hair color treatment thrice in my lifetime hence I do think that my hair is fairly normal without much damage. But even so, I love using hair care products for damaged hair thinking it would be better to prevent hair damage early before they set in. I am not very particular with the brand of hair care products I use but I do love to mention and recommend the ones that truly stand out. 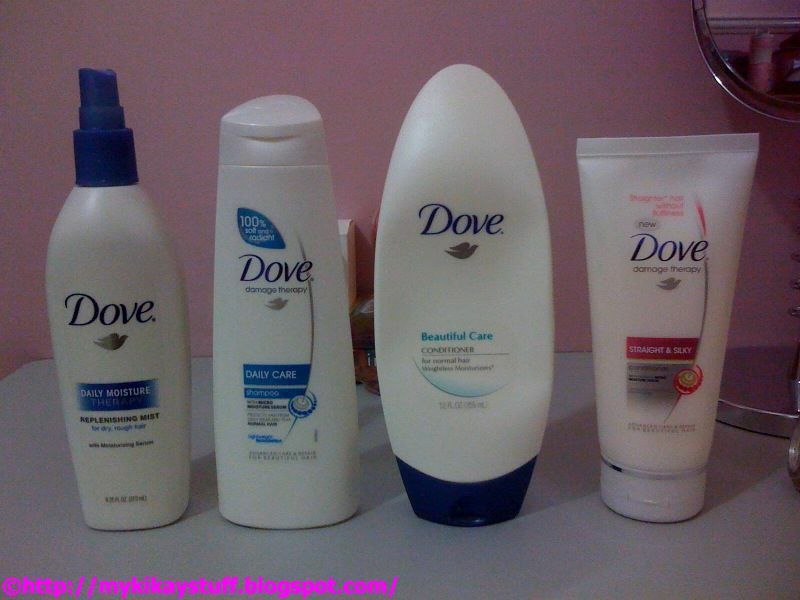 All of them, the best ones in my opinion, bear the same brand, DOVE. 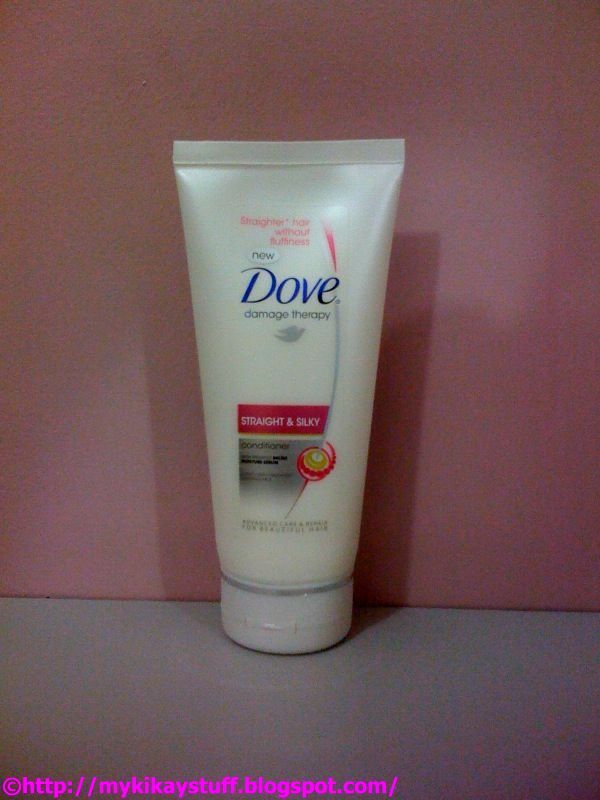 In my childhood, I saw Dove as a common "pasalubong" of relatives from abroad who usually stuff them in duty free bags together with corned beef, tooth paste, lotion and towels. Sure you can buy Dove products at Duty Free, Landmark or S&R, but it was only recently that Dove hair care products were launched locally in leading stores nationwide. Now, you can avail of these products from your local malls and grocery stores. 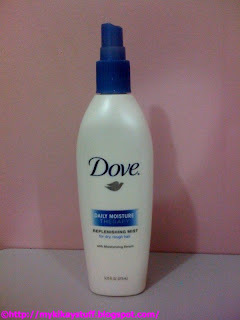 The Dove daily moisture therapy replenishing mist is the very first hair care product from Dove that I was able to purchase in a local supermarket last year. It is intended for dry, rough hair and is used mainly to restore its natural moisture. What I love about this is that it can be used daily on wet or dry hair so you can use it anytime before styling or when you need to retouch. It easily detangles your hair making it more manageable for easy styling. It gives off a clean scent that doesn't overpower your cologne or perfume and it only takes a few sprays to leave your hair looking soft and smooth. Dove daily care shampoo was one of the products launched locally this year. I love the packaging and they come in different bottle sizes to suit your needs and budget. They are also available in 10 mL sachets that are actually more economical than buying the bottled ones. This shampoo, though a little more expensive than other locally made shampoos, actually gives you your money's worth. It only takes a little amount to work up a lather and clean your hair so this will last longer than your other shampoos. It leaves your hair feeling clean, light and well moisturized. 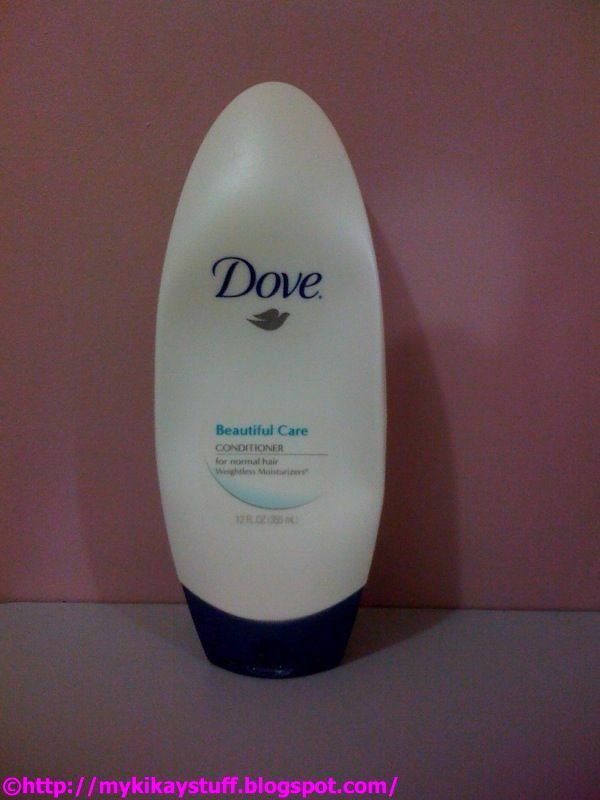 This Dove beautiful care conditioner for normal hair was purchased as a buy 1 take 1 promo from S&R. I shared this with my friend Rochelle so it's like buying one at half the price. After trying it the first time, I immediately told my friend we should've bought more. I have never tried a conditioner that leaves my hair soft, smooth and light. Aside from the ergonomically designed container, I love the fact that you can use ANY shampoo before this and it will still manage to give the same result. You will be left with a noticeably healthier and moisturized hair. 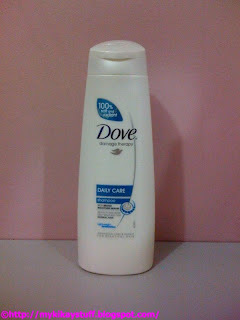 When my first Dove conditioner was all out, I was really disappointed for several months. I went around trying out other conditioners that didn't meet my expectations the way Dove did. Luckily, Dove damage therapy conditioner for straight and silky hair became available locally. I have to admit that I just bought this recently and I've only used it for a week but I can confidently say that this product is as amazing as the first Dove conditioner I tried. A small amount goes a long way. You will feel immediate results upon rinsing. Your hair will feel soft, smooth and light. The scent is an added bonus, it will leave your hair smelling clean and fresh. In conclusion, I am truly taken by these Dove hair care products. They all work well both as individuals and as part of a hair care system. Good thing these amazing products are now locally available in retail stores nationwide. *All products mentioned in this blog were personally bought. **The descriptions used are originally from the author and are based on direct observation or experience and are not intended to advertise the products being reviewed. ***As with other products, those that work for me may not give the same results with others as we have different hair types.